How To Start a Backpacking Program? Let’s face it, starting a backpacking program is not easy for many Troops. The Patrol Leader’s Council needs to decide at the annual outing planning meeting that they want to hike more and “car camp less.” To make this happen, adult leaders must “convince” the boys that backpacking trips provide benefits and are the best things to put on the unit calendar. This convincing can be a big challenge today. Backpacking has lost favor among Scouts and Parents for many reasons. It takes a lot of time and is expensive (in the beginning). Some parents also view backpacking as dangerous and an activity that potentially loosens the bond between themselves and their sons (think helicopter parents!). Scouts, on the other hand, know that backpacking is the antithesis of the passive behavior they embrace while playing video games or doing their homework online. Today, neither Scouts nor their parents view “adventure,” “individual responsibility,” or “independence” in the same way as previous generations, and consequently do not especially value the fact that backpacking normally provides these benefits. Backpacking is losing its allure for Scout familes. As a result, Scout backpacking is in decline across the country. Here are six things that must be in place to sustain a vibrant backpacking program in a Boy Scout Troop (or any group). Maybe somewhere in this list is an idea that Troop Leaders can use to get their guys out into the wilderness. 1. Older Scouts who tell younger boys that backpacking is fun. After every hike, post pictures and encourage the older hikers to tell stories to the younger ones about how great it was on the trail. Also bring it up at outings and encourage the older boys to reminisce about their last 50 miler. This creates positive peer pressure. 3. 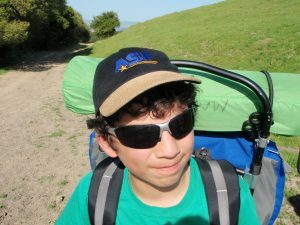 Backpacking trips specifically created for first-year Scouts. An easy and fun experience sets the stage for longer hikes later. We do a 10 mile loop in three days with stops at lakes every night for swimming. (And we usually get all the boys into the water, even if it is cold!) Older Scouts carry the food and equipment. Younger Scouts carry their personal items. Also make sure the food is good! 6. A culture of “physical exertion” in the Troop. Celebrate difficult high-adventure experiences, praise the boys who participate in them, and let them be “heros” on outings. Make sure the parents know your expectations that their son should be on this kind of outing if they want to earn Eagle rank. One way to proceed if the Troop leaders do not have the time, energy, and inclination to mount a backpacking program is to organize regional backpacking outings. Get several Troops to agree on a backpacking schedule and recruit hikers from several units or even an entire District. Another solution is to keep backpacking as a family activity and invite your son’s friends that are Scouts on the trip. In other words, just bypass the unit entirely. The National BSA organization has contributed to the decline in Scout Backpacking. There has been a seminal shift in parental attitudes about high-adventure outings over the past 15 years and BSA has been trying to stay relevant by following these societal changes. 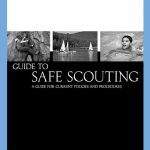 As BSA continues to expand the Guide to Safe Scouting to appease some parents, while softening advancement requirements, many units have taken the path of least resistance and removed “high-adventure” activities from their outing calendar entirely. 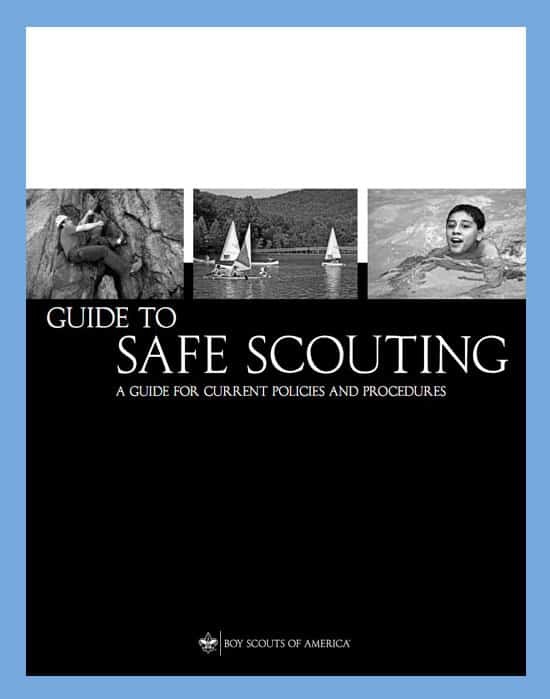 And as Scouting gets “safer” and less “adventure-oriented,” those adults and boys who actually desire riskier activities are self-selecting and looking for adventure in one of the many alternatives to the Scouting Program. Please share this article in all your scouting social spaces. go to school on Tuesday nights. I agree with all your points and you’ve given me some ideas to work on. You are especially on point with the need for adult volunteers to go on backpacking trips. I also have observed the scouting requirements are moving away from the harder outdoor activities to indoor STEM type activities in order to stay “relevant”.